With summer still in full force, we would like to remind you to be responsible when hosting get-togethers this season. Whether you’re hosting a graduation party, barbeque, or any kind of social get-together where alcohol is being served, you bare a huge responsibility to your guests and their safety. Massachusetts Social Host Liability Law is an extremely important subject, because what many people do not realize is that the actions of their guests, even after a guest has left the party, may fall under the responsibility of the host. What is Massachusetts Social Host Liability Law? In Massachusetts, a social host is anyone who provides alcohol to a guest, as an act of hospitality without exchanging money. A social host is also considered someone who not only provides alcohol for his or her guests, but allows a guest to consume alcohol on his or her property. While the property that is involved is usually someone’s home, properties can also include beach property, rental property, and even boats-essentially any property that a host owns or controls. Under Massachusetts law, by furnishing alcohol and permitting guests to consume it on his or her property, the host assumes liability. Hosts are not always adults, and can include minors as well. According to Massachusetts Social Host Liability Law, liability includes all injuries caused by alcohol by both the person who caused the accident as well as the person who served the alcohol. The most common type of accident is drunk driving. According to the Massachusetts judicial system hosts are responsible for making sure their guests do not consume alcohol to the point of intoxication. For example, if you host a party and one of your guests is over-served and winds up injuring another person as a result of drunk driving, not only is he at fault, but you are responsible as well. Massachusetts is very clear about laws on underage drinking. Anyone under the age of 21 is not allowed to consume alcohol. Period. As a parent, it may be tempting to allow your underage son or daughter to have friends over for a party, especially during prom or graduation season, or if your son or daughter is home from college. Taking the keys and requiring guests to sleepover is not the way to prevent minors from getting hurt because of alcohol. Even if a minor injures him or herself without driving, you are still responsible for providing a place to consume alcohol, condoning its consumption, and supplying the beverages. Under Massachusetts General Laws, Chapter 138, Section 34, any person who supplies alcohol to a person under 21 is subject to a $2,000 fine and faces up to a year of imprisonment. alcohol at someone else’s party. The bottom line is that if you are hosting a party, whether with underage children or adult guests, you need to be fully aware of how much alcohol is being consumed, who is consuming the alcohol, and that you are ultimately responsible. Don’t make the mistake in letting guests become intoxicated-be aware and know when to step in and take the keys away. Your decisions to allow guests to drink to the point of intoxication could cost you a lot financially, and could cost someone’s life. If you or someone you love was the victim of a Massachusetts drunk driving accident or suffered serious personal injury as the result of someone being over-served alcohol at another persons’ residence, call the law office of Altman & Altman and speak to one of our experienced Massachusetts Social Host Liability Attorneys. Whether you were involved in a car accident, a fall, or any other type of incident, we have the resources to help handle your case and achieve the highest possible recovery settlement. Our team of seasoned attorneys has handled these types of cases for nearly five decades and we have a proven track record of success. 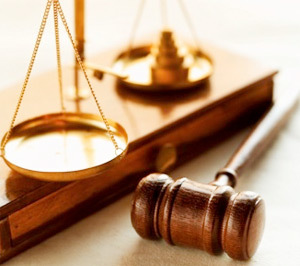 Call or email one of our experienced attorneys today for a free initial consultation. Our lawyers are available 24 hours a day, 7 days a week, and all consultations are confidential.